Ricky Doël, born in Rotterdam, raised in Spijkenisse, has been a musical explorer even before he could say 'mama'. He played the alt-saxophone until he was 16. During that 8 year period of time, he performed in theaters with his teacher, who thought he was a great talent and tried to encourage him to continue playing the sax. Later on he came across the electronic way of making music. His interest shifted to producing R&B and HipHop. In 2004 when he heard the hit single 'Need to feel loved' by Reflekt for the first time, he found his love for electronic dance music. 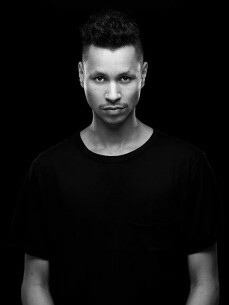 This present day he is a very talented DJ/Producer in Amsterdam. His enthusiasm and love for music in the scene is what makes him stand out. The genres he plays are more minimalism sounds, with a touch of uplifting house, tech- and deep house. When Ricky started producing his own tracks, it became clear that life has given him a golden talent.